When I was in the middle of menopausal madness, this was my favorite website. I’d have something funky going on. Could this be menopause? I’d jump onto this website and voila, there it was! I counted just now, and all in all, I had 19 of the 34 symptoms. I’m glad I skipped (at least so far) burning tongue. Great tongues of fire does that sound bad! 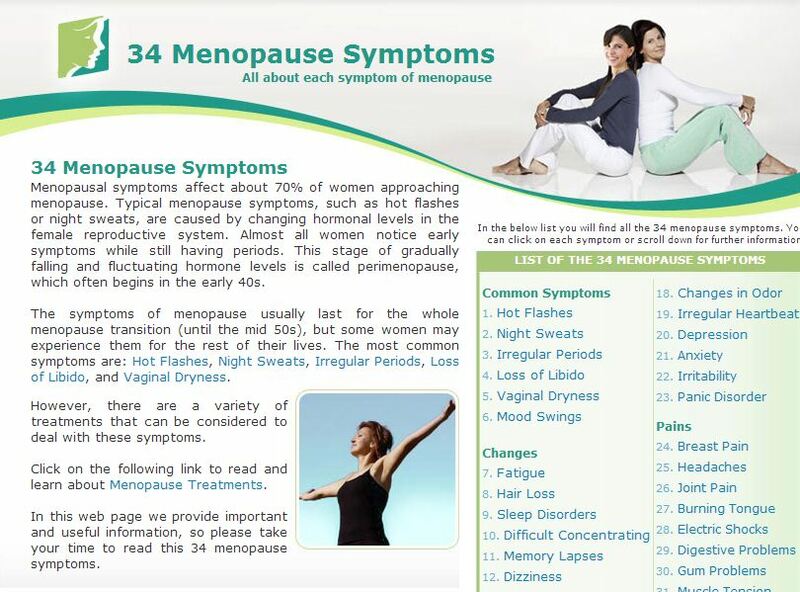 The prose on 34 Menopause Symptoms is clear and concise. 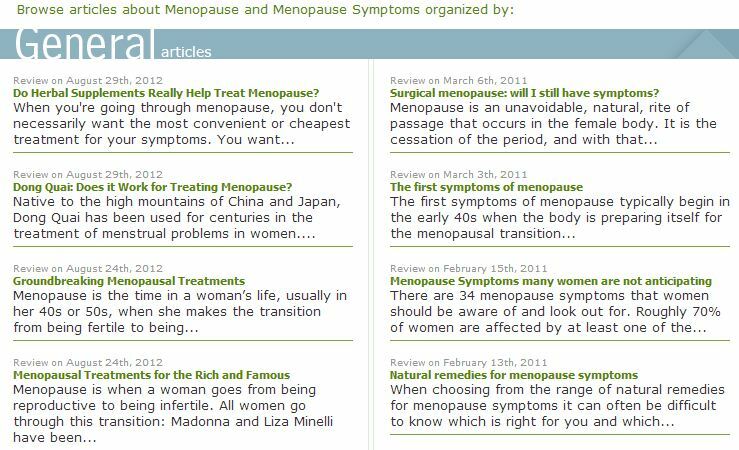 At the bottom of the page, there are links to articles ranging in topic from surgical menopause to breast tenderness. If you’re not familiar with this site, do check it out. And the contest is on! Who can beat my count of 19 symptoms? wished to say that I’ve truly loved surfing around your weblog posts. basis. It will always be helpful to read articles from other writers and practice something from other sites. Great post about Menopause Symptoms. Many people ignore the symptoms, there is many natural treatments to avoid the discomfort.